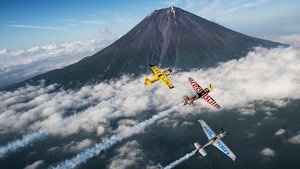 Hello and welcome to round 3 of the 2016 Red Bull Air Race World Championship, unfolding this weekend on Makuhari Beach in Chiba, Japan! We'll be with you for the rest of the week and bringing you behind the scenes access and insight so check in with us wherever you are in the world! Later today at 10:50am local time the Masters will be taking their first Free Practice sessions in the track, laying down some times in the only South East Asian race location on the 2016 World Championship calendar. Not a huge amount of improvement from this morning's FP1 times for the French pilot and British pilot, though Murphy appears a little more comfortable in the track, shaving 3 seconds off his 1:22 FP1 time. Astles in the same ballpark with a best time of 1:17.331 in FP2 and she currently leads the Challengers in this flying session with Bolton, Coleman, Czepiela and Barros still to fly. well, so much for that then. Hope to see everyone back here tomorrow then. Good morning Chiba, and welcome to Race Day here in Japan! 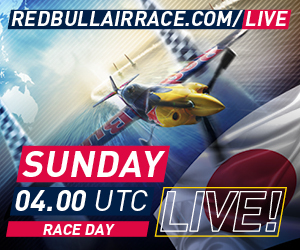 After yesterday's disappointment we're all set for a day of thrilling, high-G racing action on the Japanese coast, kicking off with the Challenger Cup at 10:00am local time – that's 03:00 UTC! The LIVE broadcast will begin at 13:00 local/04:00 UTC with the Masters Round of 14!